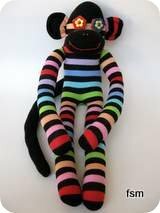 Sock monkey party theme ideas and supplies. Of course you can then get gifts like sock monkey toys books clothing like slippers mittens and hats, bedding or a sock monkey kit. You can go absolutely wild, it just depends on how much monkey you want for your party. 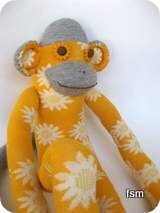 Don't forget if you are wanting to make your own sock monkey, you can grab a free sock monkey pattern and get some ideas from our sock monkey gallery. 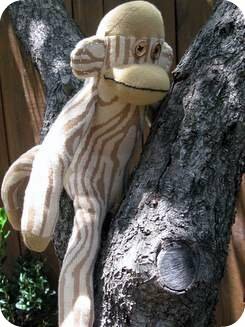 Do you need monkey baby shower supplies, or a 1st Birthday party to organize or maybe sock monkey cake ideas?